Knife Rights’ bill to remove the ban on switchblade (automatic) knives in Minnesota, HF2567, has been introduced by Representative Joe Hoppe. 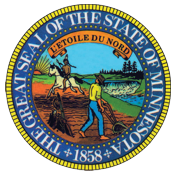 The bill would remove “a switch blade knife opening automatically” from Minnesota statute 609.66(1). Knife Rights will keep you posted on the bill’s progress and let you know when it is time to take action. Knife Rights is rewriting knife law in America™. Knife Rights has repealed switchblade bans in Alaska, Colorado, Indiana, Kansas, Maine, Missouri, New Hampshire, Nevada, Oklahoma, Tennessee, Texas and Wisconsin.